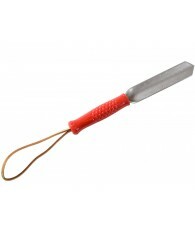 With leather strap. 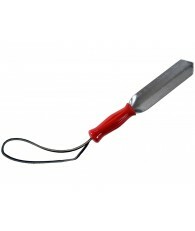 This trowel is built for rugged outdoor use. 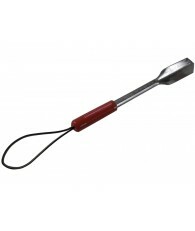 It is made of 1/8" thick nickel-plated steel and has a 5.5" side cutting edge. 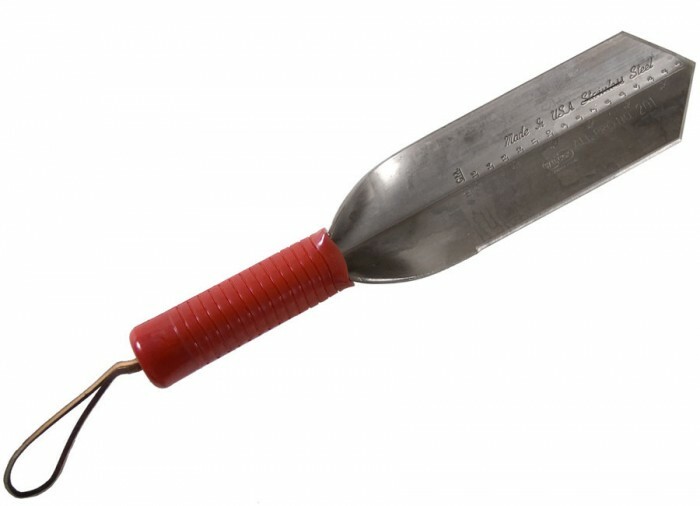 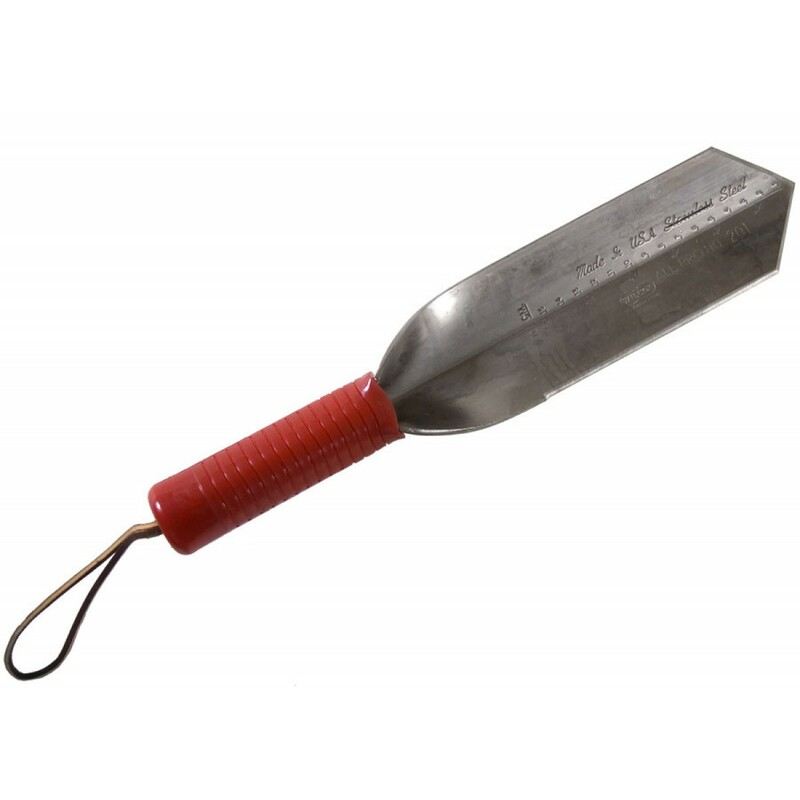 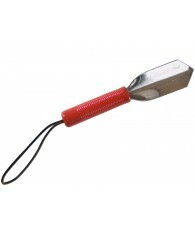 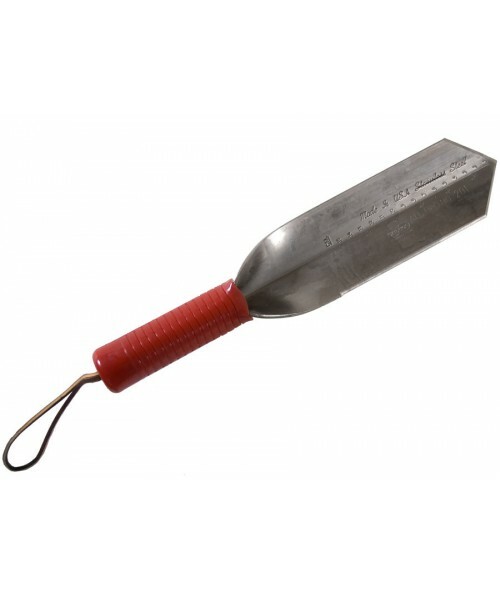 This tool can cut and pound light stakes, pry out rock sand, and serve as a good emergency tool.